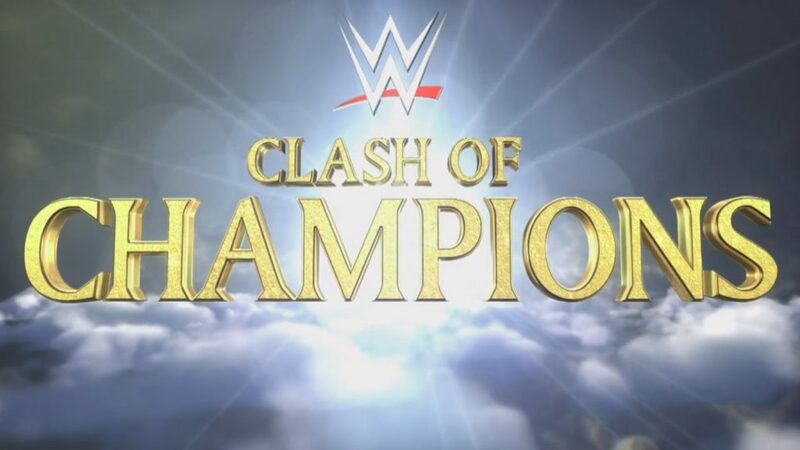 Tonight, all the titles are on the line in a Clash of Champions. New Day heads to the ring and talk about what kind of guys Anderson and Gallows are. Very good match. Anderson and Gallows started strong, taking out Big E and Woods on the outside and nearly pinning Kofi. Anderson and Gallows seemed to have an answer for almost everything New Day tried. The match was highly energetic and tense because of the very strong start. TJ Perkins became the new Cruiserweight Champ at the Cruiserweight Classic. Tom Phillips asks TJ Perkins about Kendrick being the favorite to beat Perkins for the title. Perkins admits that he’s nervous, but he’s confident that he’ll win. Good match. There was a bit of an awkward moment when Perkins kind of missed a neckbreaker and backbreaker, but other than that this was solid. I expected more cheating from Kendrick like he did in the CWC, but he wrestled this one pretty clean. I think both guys had better matches in the CWC, but still, this was good. Andrea D’Marco asks Perkins what the past month has been like. Kendrick interrupts and shakes Perkins’ hand, but gives Perkins a headbutt immediately after. A commercial for WWE 2K17. Tom Phillips welcomes Cesaro. When he was down 3-0, Cesaro realized the best of seven is about mental toughness. Despite a mildly frustrating ending, this was a very good match. This was two guys who were already beat up, throwing everything they had at each other to beat each other up even more. They brought out a few new moves and really made this feel like a war of attrition. Both guys took some big moves, with Cesaro taking a particularly nasty fall from a suicide dive where he landed face-first on the floor. Bayley is getting ready when Charlotte walks up and tells Bayley that she won’t win. Bayley reminds Charlotte that she’s already beaten her. Good match. There were some nice sequences near the end, and the finish was pleasantly surprising. Solid match. Remembering baseball player Roberto Clemente for Hispanic Heritage Month. Stephanie McMahon and Mick Foley tell Kevin Owens that they are proud of him. Owens tells them that he is going to show both of them why they should have picked him as the number one draft pick. He’s also going to show the world that Seth Rollins is a mistake. Foley’s mistake. Very good match. There was a little bit of one-on-one between Charlotte and Sasha early in the match, but given the feud going into this match, it made sense. Otherwise this was a very good triple threat where all three people were involved at the same time. The different storylines going into the match all affected how the action took place in the ring. This match did end up feeling a little like a plot point within a longer story rather than a conclusion to anything though. Buildup for Rusev versus Reigns. Good match. You can see the ending coming from a mile away and it can be a little frustrating, but the sequence up to that point was good. The rest of the match was a fine power versus power match. No one moment really stands out as being particularly memorable (except maybe Lana’s antics in the later portion of the match), but it an entertaining enough match. Stephanie McMahon and Mick Foley are also proud of Seth Rollins. Rollins knows she’s lying. A promo for Hell in a Cell featuring a ouija board. Good match, though there were a ton of shenanigans at the end. Once Chris Jericho came out it ceased to be about a wrestling match and became more about storyline. That’s fine, because this story needs to continue, but it kind of hurts this match from a rewatchability standpoint. A pretty good show. I was entertained. I’m kind of surprised by how little changed. Only one title switch and even the best of seven match didn’t answer any questions. I think the endings of some matches (like the main event and best of seven) kept those matches from being better, and other matches (like Zayn/Jericho and the US Title match) were fine but kind of unremarkable. The Women’s Title match didn’t resolve anything, but it was an example of a very good three person match.